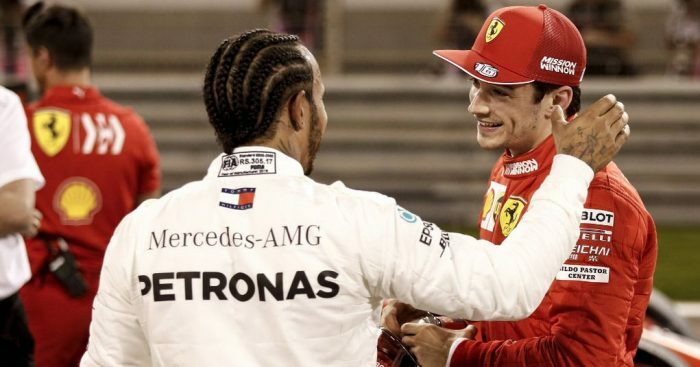 Based on the pace of Ferrari in Bahrain, and how the last two seasons have developed, it is difficult to see Mercedes maintaining such dominance but when it is all said and done at the end of the season, there is every chance that this lightning start will prove influential. Unlike the start of the hybrid era, Mercedes cannot expect to walk into every race and leave with an easy 1-2 finish. Ferrari, and occasionally Red Bull, have become too good for that to happen. However, what can be expected is that the Mercedes duo will maximise the ability of the car and be as opportunistic as possible. The frequency with which they do this is unmatched by those around them and is the reason championships find their way back to Brackley. The first two races of the 2019 are perfect examples of this. 87 of 88 points would imply that Mercedes have been flawless but that isn’t the truth. Mercedes have faced adversity, it’s their opportunistic response to problems which has given them the points. Mercedes found themselves in an authoritative position in Australia with Valtteri Bottas converting the pace into a maximum 26 points, Lewis Hamilton’s race was marred by floor damage but he was still able to see off the threat behind to finish P2. Having the fastest car over a weekend is one thing but it means close to nothing if that pace is not converted into points. In contrast to that race in Melbourne, Mercedes did not enter Bahrain with the quickest car but thanks to a mix of driver error and car problems, both Ferrari drivers fell out of contention, handing Mercedes another 1-2 finish. Call it luck if you want, but there is a reason this type of result consistently works out in Mercedes’ favour. Having the outright pace is one thing but it is consistency that so often proves to be the difference-maker. In 2018, there was little to choose between Hamilton and Vettel when it came to true pace but Hamilton had the advantage when things were not perfect. Hamilton only finished off the podium four times in 2018. Vettel had four by the French Grand Prix and ended with nine. So how can Ferrari counteract this? Off-season changes were necessary and indicate that they understand something had to be done. After four consecutive years of losing to Vettel, Raikkonen was moved on in favour of Charles Leclerc. It would be wrong to make a definitive judgement on that move just two races in but the early signs are incredibly promising. In just his second race in red, Leclerc did everything necessary to claim his maiden win. A strong performance from Friday to Sunday gives Ferrari plenty to be excited about. Ultimately the weekend did not have the conclusion that Leclerc would have wanted but I would not be too concerned if I was him. Bahrain was the first of countless opportunities Leclerc will have to win a race and it won’t be long before he takes one. It says a lot that the inexperience of the youngest Ferrari driver in over 50 years is not the Scuderia’s biggest concern in the early stages of this season. It’s arguably not even in the top three. The three main reasons Ferrari did not claim either championship in 2018 all appeared in Bahrain and they all need attention if they want the story to be different in 2019. Firstly, Sebastian Vettel’s tendency to impersonate a Beyblade. As quick as Vettel is, there are too many occasions where he makes errors that cost him valuable positions. Just two races in and Vettel has already made his first mistake. The margin for error is miniscule at the top of the championship and he simply can’t allow this to become a regular feature again. Secondly, reliability. Generally speaking, Ferrari’s reliability is good with Vettel and Raikkonen only having 5 combined DNFs in 2018. The problem is the competition that they need to compare themselves to. Mercedes suffered just three retirements in 2018 (one of which was not due to reliability) and Ferrari have to match these standards to stand a chance. Thirdly, strategic errors. A lot of focus will be on Vettel’s spin post-Bahrain and understandably so but should they have even been fighting in the first place? The impact of fresh tyres was off the charts, yet they allowed Hamilton to pit one lap earlier than Vettel did. The strategy left Vettel vulnerable. Of course this doesn’t excuse Vettel from making the error but the easiest way to ensure that error doesn’t happen is by eradicating the situation from even happening in the first place. Ferrari would have been slightly concerned to see Mercedes so far ahead of them in Australia so at least those worries have been quashed, but it’s meaningless if you can’t take advantage of the fastest car. Ferrari still have a lot to work on throughout the year and they need to take their chances when they come. If they don’t, the ruthless Silver Arrows will be enjoying a sixth straight championship.